This is the first book in Polity’s new ‘Urban Futures’ series. At the beginning of the twenty-first century, proclamations rang out that gentrification had gone global. But what do we mean by ‘gentrification’ today? How can we compare ‘gentrification’ in New York and London with that in Shanghai, Johannesburg, Mumbai and Rio de Janeiro? 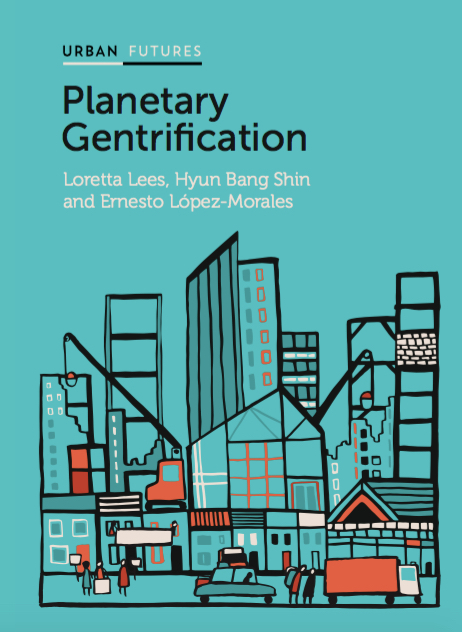 This book argues that gentrification is one of the most significant and socially unjust processes affecting cities worldwide today, and one that demands renewed critical assessment. Drawing on the ‘new’ comparative urbanism and writings on planetary urbanization, the authors undertake a much-needed transurban analysis underpinned by a critical political economy approach. Looking beyond the usual gentrification suspects in Europe and North America to non-Western cases, from slum gentrification to mega-displacement, they show that gentrification has unfolded at a planetary scale, but it has not assumed a North to South or West to East trajectory the story is much more complex than that.